Local favorite Cranmore Mountain expands with a new children's center and year-round Adventure Park to keep kids busy while shoppers hit New Hampshire outlet malls. There’s lots going on at many of the New England resort areas that have faced tough snow and an adverse economy in recent ski seasons. Cranmore Mountain in North Conway, New Hampshire, is one ski area that’s making big changes for winter 2010 and beyond, especially in its family programs. Cranmore isn’t a huge mountain, but it does have more than 200 acres of skiable terrain with a elevation of 2,000 ft. and a vertical drop of 1,200 ft. Small and compact, it’s an ideal mountain for beginners who want to feel safe and comfortable, as there are 54 trails served by 10 lifts, with 70% of the terrain designated for beginners and intermediate. Interestingly, the three terrain parks serving beginner, intermediate and advanced — all designed by Snow Park Technologies of X Games fame — were voted #3 in the East by readers of Snoweast Magazine in 2009. New owners Brian Fairbank, Joseph O’Donnell and Tyler Fairbank (the principals and operators of Massachusett’s Jiminy Peak Mountain Resort), purchased Cranmore this year and have committed to another $6 million in improvements. Families will be pleased to learn that the two-story, state-of-the-art Arlberg Children’s Center will open in the center of the base village. 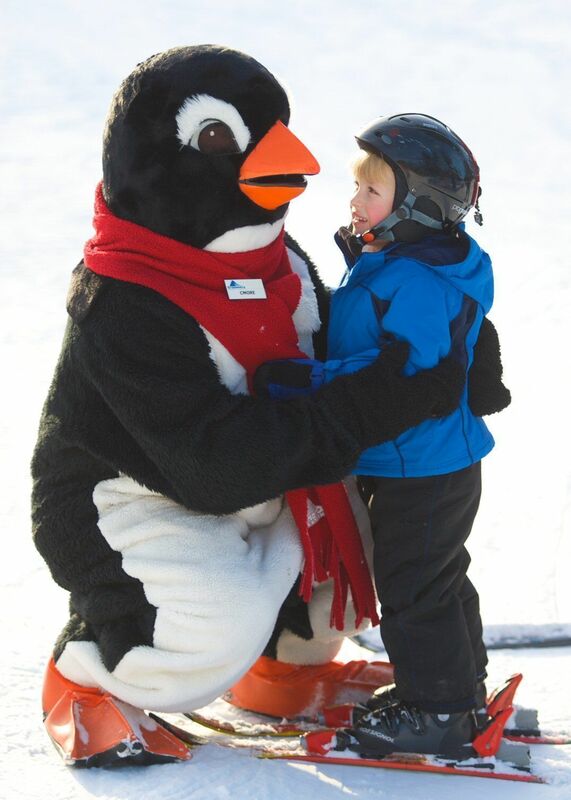 Its facilities are reserved for up to 300 kids ages 3-14 years who are enrolled in Cranmore’s Penguin and Adventure Camps, and it will also house the Cranmore Play Room for Young Children. This daycare area is designed to serve ages 3 months and older, and will be open year round. The new space will give Cmore, the resort’s penguin mascot, more room to play around, too. Parents tired of chasing mittens will enjoy the convenience of an on-site ticketing and reservation center, rental services and lesson drop off areas. Even the popular tubing park is being expanded for apres-ski fun. “Cranmore is already known as the place where families have learned to ski since the days of Hannes Schneider,” stated Snowsports Director Karen Dolan, referring to the Austrian ski champion who brought European style instruction and technique from St. Anton to New Hampshire in the 1950s. The children’s center is being built next to the beginner slopes which are being expanded by the relocation of a double chairlift. For shoppers, skiers and visitors, as well as for its loyal local following, Cranmore’s overall ski experience is being improved. A fixed-grip quad chairlift that will replace the South Double and double the capacity for beginner students. Seventy new energy-efficient tower guns will make more snow, faster, so that more terrain opens prior to the Christmas break. 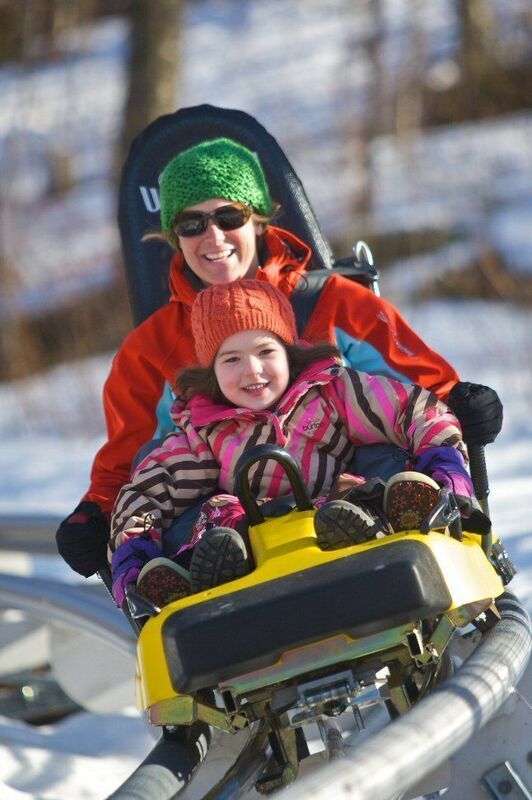 The other big local news is the Cranmore Mountain Coaster which will simulate a luge experience for visitors. The Coaster takes riders (kids over 42″ tall can ride alone, otherwise with guardians) up thousands of feet of twisting, turning rails through the woods and down the mountain. Riders control the speed so they may take a leisurely ride or get thrills at speeds up to 25 mph. The Coaster, a year-round attraction, will be the centerpiece of Cranmore’s summer Mountain Adventure Park slated to open in summer 2011 featuring the Coaster, aerial adventure course and zip line, and summer tubing park. Once your teens have tried the Mountain Coaster and soaked in your hotel’s hot tub, there is more. Outlet malls are a big lure for visitors to the region, especially the 60 shops in Settlers Green right in the bustling village of North Conway. British and Irish families like to join tour packages that combine shopping and snowsports because it’s so convenient and discounts abound. Even popular carrier Virgin Atlantic Airways through their Virgin Holidays tour operation are running “shop and ski” vacations for families coming from Europe, who adore the duty-free bargains they can find. If this sounds like your kind of vacation, do check out the North Conway Tourism site for a list of all the other shops, malls and discount outlets within 100 miles. 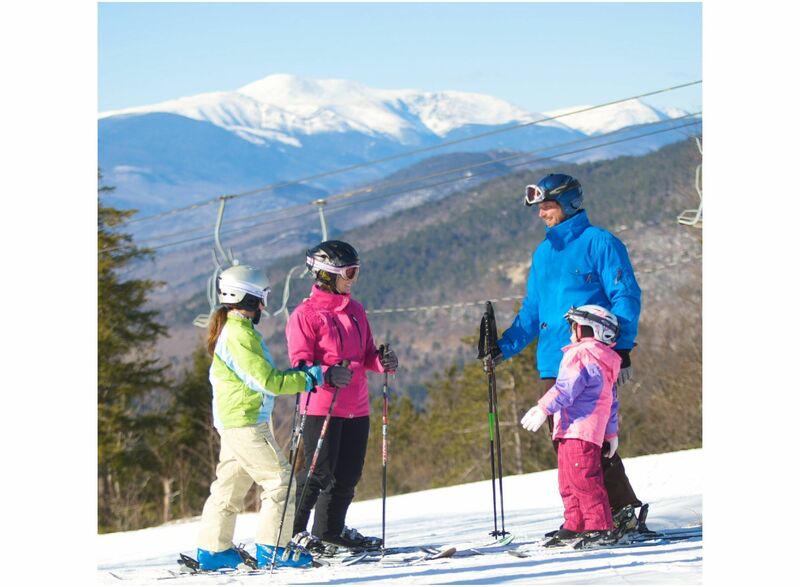 Whether you fly into Boston on JetBlue, take the Acela from New York or drive your car, Cranmore offers ski and stay packages with several of the 40 local lodgings. Packages are best value mid-week and early or late in the season, but many of the area B&Bs and small motels are good value all season long. Note that most offer special deals and discounts on overnight accommodations with lift tickets, and free shuttles to the slopes. Here are some of our picks — all located minutes from its slopes — more hotels and more detail can be found at Cranmore Mountain Ski and Stay. This lodge like to call their deal “all-inclusive” because they pack in 4 Cranmore lift tickets (2 adult, 2 children), tubing, dinner vouchers, breakfast, afternoon hot cocoa and more into a fun stay geared to families. Their “Splash, Ski & Stay Package” allows families to enjoy the 15,000-square-foot indoor waterpark, a big treat after a day out in the snow, and also includes Cranmore lift tickets and breakfast. 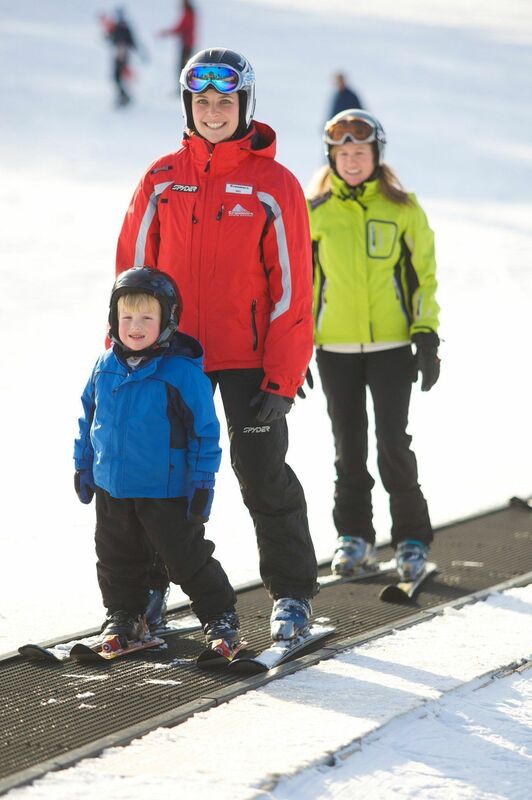 For a more deluxe experience, book one day of skiing at Cranmore for a family of 4, with 2 nights accommodation in a fully equipped, spacious condominium. You’ll also have use of the guest clubhouse offering an indoor pool, game room, sauna, bonfires and Jacuzzi. This is a great budget choice, for a Weekend Value Ski package that includes a Cranmore lift ticket, lodging, and breakfast special at the Blueberry Muffin. This is an unusual, totally themed hotel that’s very popular with families — whether you’re into the psychedelic dÃ©cor of the 70’s, Ancient Rome, jungle tours, or other environments ranging from log cabins to a movie theatre. Each suite includes a two person Jacuzzi, and guests get free movies, WiFi, breakfast, use of the billiards room, outdoor fire pit and snacks. 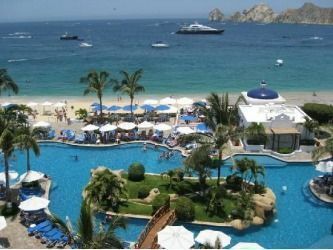 If you’re willing to spend 90 minutes to tour their timeshares, you’ll get a $200 savings. Predictable but very comfortable, the local Marriott offer includes deluxe accommodations, full hot buffet breakfast and 2 Cranmore lift tickets. 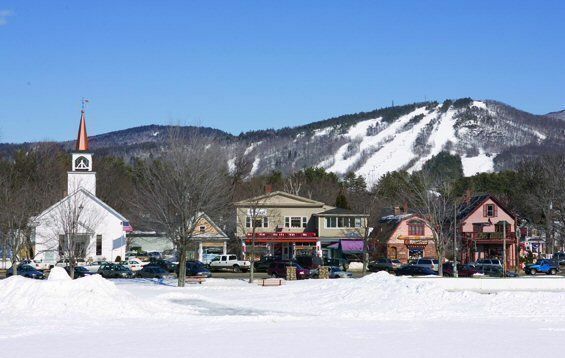 Cranmore Mountain is located in the heart of North Conway Village, New Hampshire; get snwo reports and information at 800-SUN-N-SKI .Note that most of the above hotels and inns offer special deals and discounts on overnight accommodations with lift tickets. . Packages are available for adults, kids, families, weekend, midweek and holiday periods.